Dr. Wai is a fun but very dated film. The special effects are laughable terrible, and gets worse as the film goes on.. The story itself is also pretty flimsy, but it does have some good-natured humor, and allows Jet to have fun with the role, which he does. He has a good rapport with his co-stars, especially Kenishiro, who has silly fun as Pao. The Dr. Wai character is fun in and of itself, a martial arts master and archaeologist whose weapon of choice is an assortment of pens that can do things to put James Bond gadgets to shame. I’m fairly sure one of them could dial long distance. Kenishiro (Wu Xia, The House of Flying Daggers) is a lot of fun as the hapless Pao, who has moments of comedy that shows he’s comfortable in his dim-witted nature. (Flashpoint, The Forbidden Kingdom). The next best fight is Jet Li using a metal rope chain against Billy Chow and a group of ninjas. Outside of that the fights were many but not nearly as interesting to watch. Some wirework was used, particularly in the fight where Dr. Wai had to take on two sumo wrestlers, but overall it’s minimal. Dr. Wai is a fun but forgettable film that lets Jet Li indulge in an Indiana Jones with Kung-Fu style fantasy romp. CHOREOGRAPHY: (7) The fight choreography is fast and fluid, but lacks imagination and any real hard hitting. 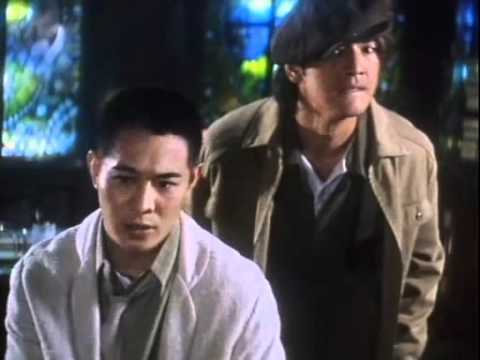 Jet Li, Billy Chow and Collin Chou did a good job with what was there, but that kind of talent they could’ve done so much better. STUNTWORK: (8) The stunts were pretty good here, nothing amazing, and even the few wire assisted scenes were good. STAR POWER: (9) Jet Li, the great Billy Chow (Petticab Driver, Fist of Legend) and Collin Chou, with Rosamund Kwan really was a showcase of Hong Kong stars, all of whom have made their mark. FINAL GRADE: (8) Dr. Wai is a fun film that could use a good updating, but Jet Li is great in the role and Kenishiro is perfect as his hapless assistant. A fun time if you can get past the poor special effects. NEXT: Another Op/Ed from Santanu! This time he tackles Tai Chi Master! I must admit, I’ve never seen this one. Did you know there are two different versions? The one you seem to have seen is the one set completely in period, but there is another version set in the present day. In that version Jet plays the AUTHOR of the Dr Wai stories, and the period-set action scenes are excerpts from his novels. I didn’t aware there were two version of it. The one I watched in Indonesia in 90s was the one mentioned by MikeOutWest. There was one small part that was so imprinted in my mind. It was the scene where Dr. Wai took his hat of the ground and he did it by flipping it. As a great fan of J.L., I went to Netflix to see if the film was available; and, it is not. I am going to go to the Mall and purchase it. I always look forward to reading your reviews as you have a unique quality of “nailing” the essence of the film. I saw Collin C with Donnie Yen in Flashback. The fight scene at the end of the film was cold-blooded. I watch it over and over again. That Collin C. is amazing to watch, in my humble opinion. I look forward to watching this film. J.L. screen presence is magnetic and hypnotic at the same time, in my humble opinion. He is certainly gifted. I have been into the South Korean films lately. I am just amazed at the brilliant work of those guys. At this juncture, I have learned a great deal about making films. I watch that scene with Collin C and Donnie Y. all the time. I saved it on my laptop. Oh, what I wanted to say was that I watched all of Jet’s films from the beginning of his career. When he was young he was always smiling in his films. Now that expression of cold-blooded wrath is always on his face.